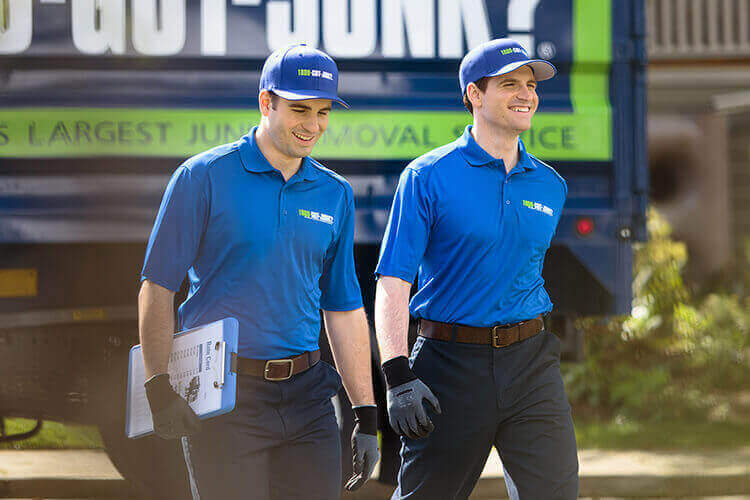 Basement Clean Outs & Removal Services | 1800-GOT-JUNK? Basements often end up being used just for storage. It makes sense, as they are a convenient spot to get things out-of-sight while still giving you easy access to them. However, what starts as just a few items can quickly grow into piles of rubbish that you really don’t need to hang onto. If you’ve got rubbish piles that are starting to take over your basement, it’s time to take back your space so you can actually use it again. Just think of what you could do with all that extra space! If you’ve managed to let the rubbish pile up in your basement over the years, the thought of cleaning it out is probably a bit scary. The good news is, you don’t have to handle it on your own. If you need a hand with basement rubbish removal, call 1800-GOT-JUNK?. We’re rubbish removal experts and have years of experience in basement cleanouts.